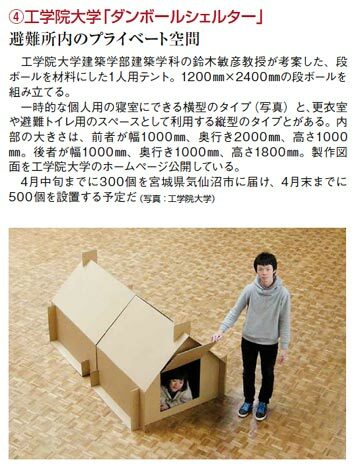 Cardboard Shelter was reported mainly newspapers in Japan. 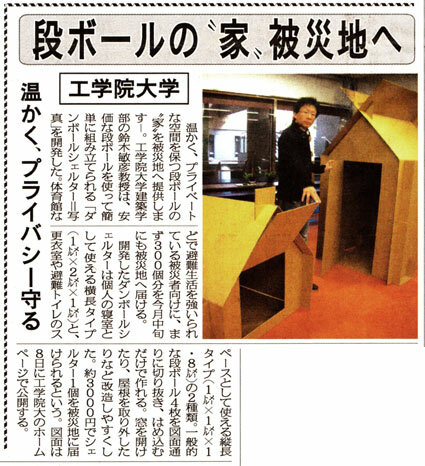 Research of designed cardboard house goes on in Suzuki laboratory in Kogakuin University, Tokyo, Japan. 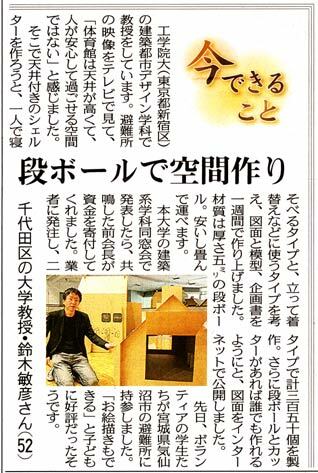 If you have a interest in this new attempt to help earthquake refugee, please contact us: info[atmark]atelier-opa.com. 1 Response to " ダンボールシェルター掲載紙, Articles on newspapers in Japan "